​The Positive Minds course has been designed to give students the skills they need to keep low mood at bay. The six week, confidential course has been developed using material from Students Against Depression which provides award-winning information and self-help resources for depression. When low mood hangs around, it can be easy to end up in a downward spiral. 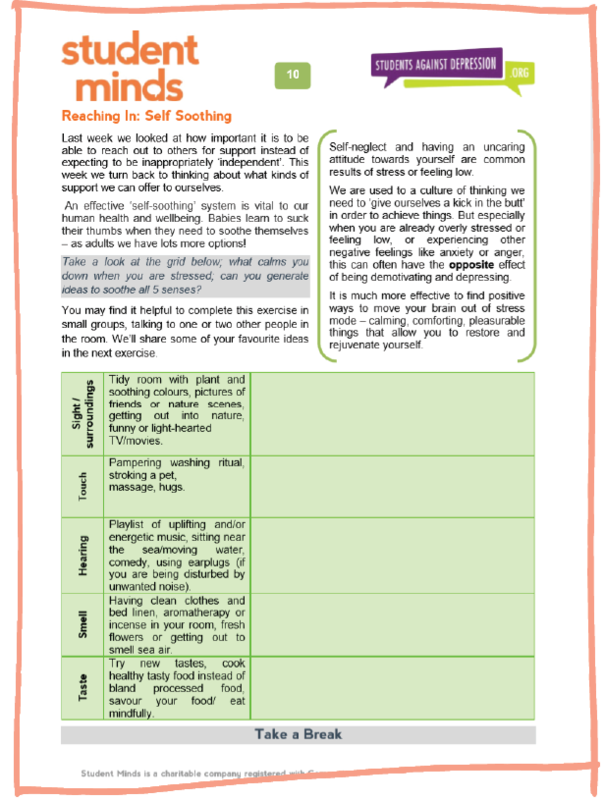 Whilst not a substitute for professional help, the strategies discussed in Positive Minds offer a starting point for what you can do to prevent chronic stress or low mood from persisting or getting worse. By supporting you to make positive changes in your daily life, Positive Minds helps students to build strategies to maintain positive mood throughout university. "It is an amazing feeling, sitting in a room where people are sharing things they have never shared with anyone. When others say they have felt that way too or experienced the same thing, there's a sense of relief and acceptance. It is the most empowering thing I have ever experienced"
Positive Minds has been designed for university students with mild depression or individuals who have experienced depression before and would like to take steps now to prevent future episodes of depression. The course is not suitable for individuals with more severe depression and is not a substitute for professional treatment. Depression can be a serious illness and it is always advisable to seek professional support if you think you may be depressed, or if you are or have recently been feeling suicidal. 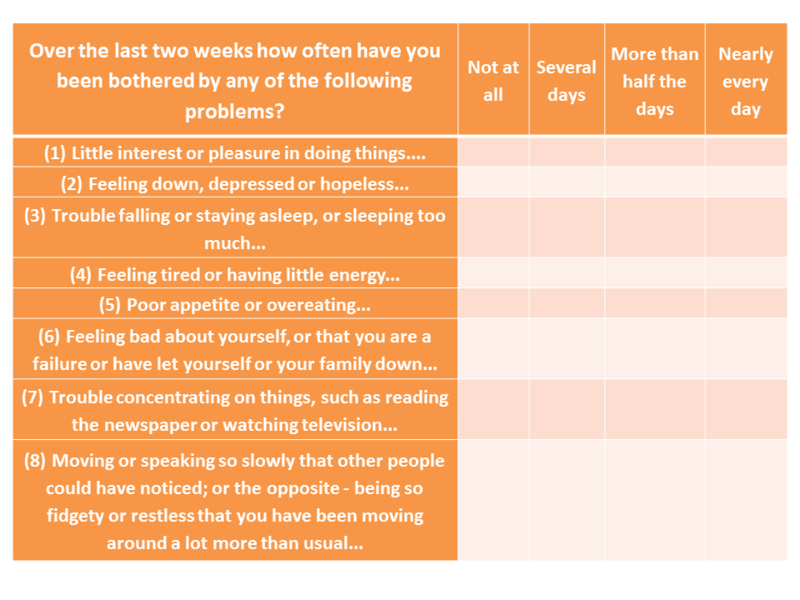 If you select "more than half the days" or "nearly every day" for more than 4 of the questions, this course may not be the most suitable for you and you may benefit from more specialist support. Sometimes students come back to attending a group after accessing medical advice from their GP​. We would strongly encourage you to book an appointment with your university counsellor or your local GP. For further suggestions on where you might access support, please visit our Support Pages.